Steve doesn't just tell his story; he offers you a roadmap as well. He reveals the training, nutrition, and supplementation strategies that allowed him to reach the top. From Boise, Idaho, Steve Cook fell in love with lifting weights while playing high school football. This past year he has taken the bodybuilding and fitness industry by storm with triumphs in multiple natural bodybuilding competitions, winning the Bodybuilding.com Fit Body Contest, stealing the show at Muscle & Fitness Magazine's Male Model Search, and now with his recent title of 2011 BodySpace Spokesmodel. With his boy-next-door good looks, amazingly symmetrical physique, and dedication to serving as a role model to others, his star will continue to rise. When asked what he would do as a BodySpace Spokesmodel Steve summed it up in one simple word, "HELP." As a representative for a community of more than 700,000 members, he will have plenty of help to give. 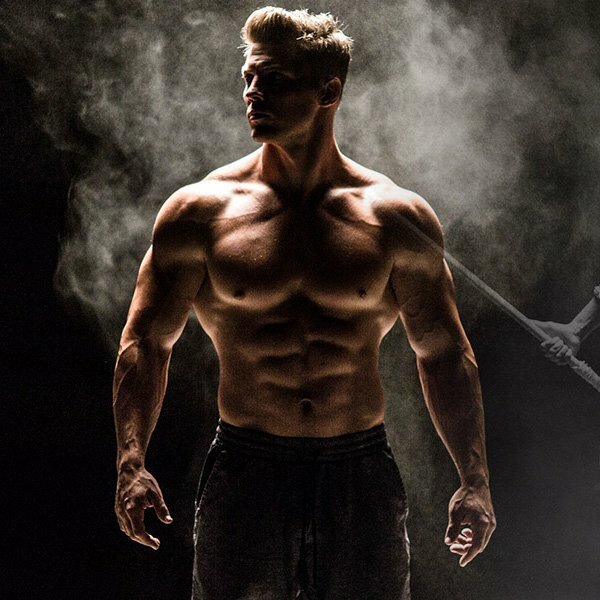 You can sculpt a phenomenal body like Steve Cook without it feeling like a job; check out his powerful muscle building program. Earn a classic form! By the time he hit the stage to win the BodySpace Spokesmodel Search, Steve Cook was in the best shape of his life. Score his complete program here! Build Size and Get Shredded with Modern Physique! Build muscle and burn fat with Steve Cook's 8-week fitness plan, plus over 40 others, for only $8.99/month!